"anything goes - christmas or winter." 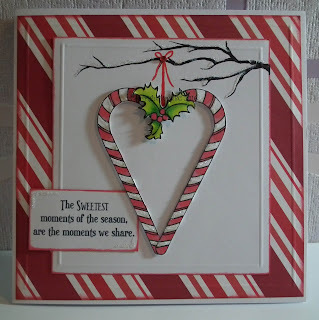 I used Patties image "candy cane heart." I fussy-cut the image and coloured with my promarkers. but I don't have a branch stamp or die. onto the candycane paper - again, I embossed and inked that around the edges too. Such a cute card and I LOVE that sentiment. Thanks so much for joining us this week at Christmas Card Challenges. This card is truly wonderful! Love layout! Thanks for playing along with us over at the Christmas Card Challenge! Great christmas card, love the image. Thanks for entering our challenge at Di's digi stamps. So festive. Love this! Thanks for sharing with us at CCAYR.